Let’s say you’re serious about going into business for yourself and have identified an attractive business that is for sale. You’re interested in investigating the opportunity. What’s next? How do you check it out? Confidentiality is critical to the successful transfer of a businesses. If word gets out that a business is for sale, several things start happening and none of them are beneficial to a prospective buyer. First, key employees start looking for other jobs, fearing that a new owner may not retain them. In the uncertainty, customers start looking around and begin shopping elsewhere. Suppliers get nervous. This is why a seller or business broker will ask you to sign a non-disclosure agreement. It’s sometimes called a confidentiality agreement. In this agreement, you confirm that you will not disclose the fact that the business is for sale — except to your professional advisors. And yes, your spouse is considered a professional advisor. After all, he/she consults with you often on a professional basis, right? Just caution them on the need for extreme confidentiality. If you show that you take the need for confidentiality seriously, you will be regarded as the professional that you are. If you’re working with a business broker, he will probably have furnished you with a summary profile on several different businesses. The profile will summarize all the salient points of the business including gross revenue and owner’s cash flow. 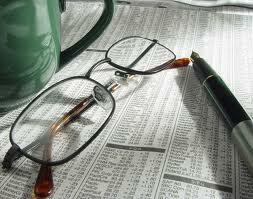 From the several profiles that your broker has given you, pick the two or three that you would like to pursue. The first step for each business that you would like to explore is an anonymous visit posing as a customer. We call this a reconnaissance run. As you visit, first, note the location. Is it appropriately located for the type business? As you’re driving into the parking lot, what does the business look like from the street? What about signage and street identification? Then as you walk to the entrance, what kind of an impression do you receive? Once you’re inside, take a close look around. If it’s a retail establishment, are the shelves full? Is it clean and neat Are there customers there? Are the employees helpful? What is the general feeling you received from your visit? If you decide this is a business you want to follow up on, make a list of questions for the owner. Make this list while your visit is fresh on you mind. Include anything and everything you’re curious about. The next step in this logical sequence will be a meeting with the owner. If you’re working with a business broker, he will set up the meeting at a time convenient with both parties. He will go with you to the meeting and facilitate the exchange of information. Be sure to bring your list of questions. Ask anything you want to. However it’s usually best, at this point, not to discuss the selling price of the business or the possibility of owner financing. That comes later. But ask anything else that comes to mind. Nobody knows the business better than the owner. If you’re meeting at the business, ask for a tour of the facility. It’s important that this meeting remain informal and cordial. Remember, you are both checking each other out. If the owner is going to finance a portion of the selling price, he’s looking at you as much as you’re looking at the business. It’s a two way street. At the end of the meeting, you don’t have to express any commitment. Simply say something like: “Well this has been very informative. Thanks for your time. Let me consider this new information.” It might also be a good idea to covey to the owner that the information will be kept in the strictest of confidence. He’ll appreciate your sensitivity to that issue. The next step, assuming you are interested in the business, is to determine the operation’s annual cash flow. After all is said and done, what you will be buying is the ability of the business to produce cash. So first lets define cash flow. Some brokers refer to it as owner’s discretionary cash flow or ODCF. Owner’s discretionary cash flow is defined as that amount of cash that the business produces in a year’s time that is available (1) to pay back any debt that the owner of the business incurred to buy the business, and (2) for the owner’s personal living expenses. Another way to express it is that ODCF is the amount of cash the business produces after all necessary cash operating expenses – and only the necessary cash expenses –have been deducted. ODCF is not the same as net profit shown on the profit and loss statement. It’s not the same because of the bookkeeping practices of the large majority of business owners. Simply stated, business owners do not keep books to pay income taxes. Most business owners make strenuous efforts to reduce any taxable income. For this reason, most business owners in an effort to reduce their taxable income run some expenses through the business that are not purely business expenses. This practice reduces tax liability but it also oftentimes masks the true earnings record of a business. As an example, take the sale of a restaurant that I recently handled. The profit and loss statement from the business was actually showing a small loss. However, the owner’s wife drove a Lincoln Navigator which was listed on the books of the business as a company vehicle. The company also paid for all her gas and maintenance on the Navigator although she has no role in the operation of the restaurant. Same for the daughter’s Honda which she drove back and forth to college. The daughter was also on the payroll as an employee of the restaurant which furnished her with spending money at college, although she never actually worked at the restaurant. The family ski vacation to Colorado was charged to the business because the owner attended a business meeting for a couple of hours while in Aspen. You see where I’m heading here, don’t you? By the time all these items plus any non-cash expenses were accounted for, the restaurant was actually producing a nice yearly cash flow for the family. In considering a business, your challenge is to determine its true cash flow. This process is referred as the recasting or normalizing of income. If you are using a business broker, he has probably already prepared a recasting worksheet on each business he presents to you. Add the owner’s salary and perks (because this amount will be available to the new owner for his own living expenses. The total of these items will give you a more accurate assessment of the cash producing ability of the business and is referred to as owner’s discretionary cash flow (ODCF). After computing the ODCF of the business, the next step is to determine if the cash flow is enough for you. To do this, you need a fairly close approximation of what your debt service will be on the amount borrowed to buy the business. After all, it’s the amount left over after debt service that will be available for you and your family to live on. Your broker will have amortizations tables available for debt calculation. Business loans without real estate generally run seven to 10 years. With real estate, the term of the loan can be up to 20 years. An increasingly popular type loan where the seller is offering financing is called the balloon loan. It solves the problem of the seller wanting his money long before a ten or fifteen year term us up and the buyer wanting to keep his payments as low as possible. It works this way. After the down payment, the seller finances the sale of the business with a note from the buyer. The payments are calculated on, say, a fifteen year amortization schedule (to keep them low) but the note calls for a payoff of the balance due (the balloon) at the end of fifth year. During the five years, the new owner builds up a track record and establishes a relationship with a bank. At the end of five years he is in a position to refinance the balloon with the bank and pay the seller. It’s a win-win situation for both parties. It probably should be mentioned that the above calculations do not consider any increases in revenue and cash flow resulting from new ownership. Historically, a business will experience a revenue increase of between ten and fifteen percent due solely to a change in ownership. Nor does this calculation account for any new products and services or other changes that a new owner may plan to introduce. Now it’s decision time. If the business is of interest to you, and if it returns the amount of cash flow you need (or can be made to do so), and if you can envision yourself successfully running the business, then you may be ready to move on to next logical step. If you’re ready to pursue this business, my next blog post will outlines an important step: The Contingent Offer. William Bruce is a business broker, an Accredited Business Intermediary (ABI) and a business appraiser assisting buyers and sellers of privately held businesses in the transfer of ownership. His practice includes consulting services nationwide to business buyers and sellers. He currently serves as president of the American Business Brokers Association. He may be reached at (251) 990-5934 or Will@WilliamBruce.org. If you found this information useful, share it using the links below. This entry was posted in Buying or Selling a Business, Franchises and tagged business analysis, business appraisal, business broker, business for sale, business valuation, cash flow, compute discretionary cash flow, discretionary cash flow, EBIT, EBITDA, how to analyze a business, how to buy a business, how to check out a business, Small business, what is cash flow, William Bruce Sunbelt Business Brokers. Bookmark the permalink. Excellant blog. We operate a payroll service company and a full lines insurance agency. We are currently looking to expand both. I would enjoy the opportunity to look at the possibilities of purchasing an existing payroll company or an insurance agency. Thanks for your comments. I just emailed you the booklet. I am in the due diligence phase of purchasing a minority share of a well established restaurant which has been successfully operating for 10 years. I am seeking assistance in negotiating the buy-sell agreement, and closing the sale contingent upon financing. I am very interested in reading your booklet, as well as learning if you may be available for consulatation. Ted, thanks for stopping by. The booklet “How to Buy a Business in a Safe and Organized Way” has been emailed. I’m available for consultation on issues that buyers face when considering a business. In fact, this is an increasing portion of my practice. Ted, Good blog. Will you send me a copy of the booklet “How to Buy a Business in a Safe and Organized Way.” I am also considering buying an existing business and having trouble understanding how to assess the ability of the business to support the information the owner is providing me. Keith, it’s on the way. Sorry for calling you “Ted” obviously I meant William. Can you please send me your booklet? I am just getting started in looking at an existing business that I am interested in buying. I may reach out to you for help if I pursue this. Your articles are very informative. I am in the process of diligence for a franchise sub restaurant as well as a UPS store. I would appreciate a copy of your booklet, too. Tarun, thank for dropping in. I’ve emailed the booklet. Marcelo, the booklet is on the way. I’m looking to buy a business. Can I get a booklet? Thanks. Nick, thanks for dropping in. The booklet is on the way. William, I’d love a copy of your booklet. I came across your website and articles. Very informative. Can I get a copy of your booklet. Karla, the booklet is on the way. Hope it helps. I’d love to get your booklet. I’m looking at several business opportunities and I really appreciated this article. Thanks for taking the time to share your wisdom. Simmonie, it’s on the way. Thanks for stopping by. I am seeking to purchase an existing business in the healthcare business . I am new to this and want to seek best advise and read as much so I can make the best decision . Would you please send me you booklet . I have been reading your articles and may need your assistance for consultation . Suzanne, the booklet is on they way. Don’t hesitate to call or email if I can be of assistance. Enjoyed your articles. I would appreciate a copy of your booklet. Barney, thanks for dropping in. I’ve emailed the booklet. Benson, I’ve emailed the booklet. Yes, I provide consulting services in the Northeast. Let me know if I can be helpful. Hi, i would like your booklet too, please. Magdalena, the booklet has been emailed. Best wishes, William. Hi William. Very enlightening… I would like to learn more in detail and would like to see your booklet so I can make a better educated decision as a business person. Your assistance is much appreciated. Continue in doing great things. Cheers! Trang, thanks for dropping in and for your kind words. I have emailed the booklet. Best wishes, William. I am in process of becoming partner in business, this blog helped me understand basic knowledge. If i am not asking too much could you ps. share book. Sunny, Thanks for visiting. The booklet is on the way. Yes, we provide consulting services in Southern California. Let me know if we can be of assistance. Thanks for the valuable info. Could you please share the booklet as I am considering buying a restaurant business in TX? Very good article. I enjoy your blogs, should do more myself. Leon, thanks for your kind words. Much appreciated! Lots of great information here. I am trying to help a client with the purchase of a large electronics distributor and I would love to take a look at this booklet as well. Thank you. Steve, thanks for the visit. The booklet is on the way. I would also like to jump on the bandwagon, if you wouldn’t mind sharing. Sounds like a good read. Appreciate all the useful information you share through your various blogs/channels. Would it be possible to send over a copy of your booklet? Alex, the booklet is on the way. Thanks for stopping by.